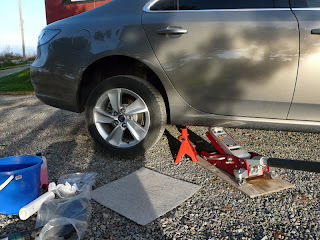 Last Sunday I installed rear mud flaps on my car. 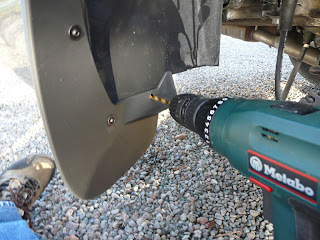 It was a very simple operation that took less than one hour. 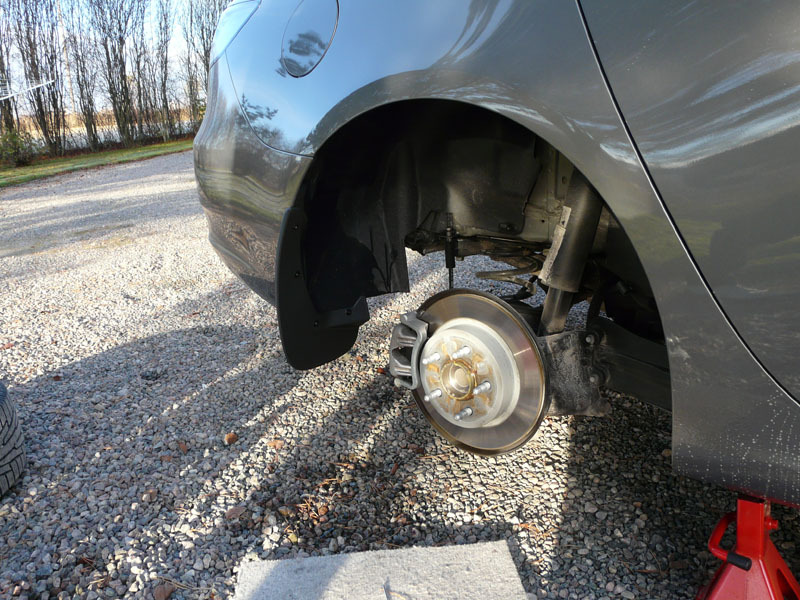 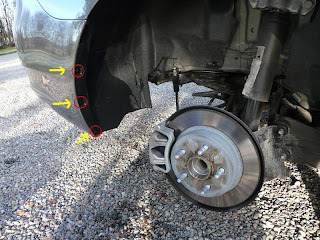 First I loosened the wheel nuts and raised the car and removed the wheel. Then it was time to remove three screws that keep the wheel arch liner fastened to the rear bumper. 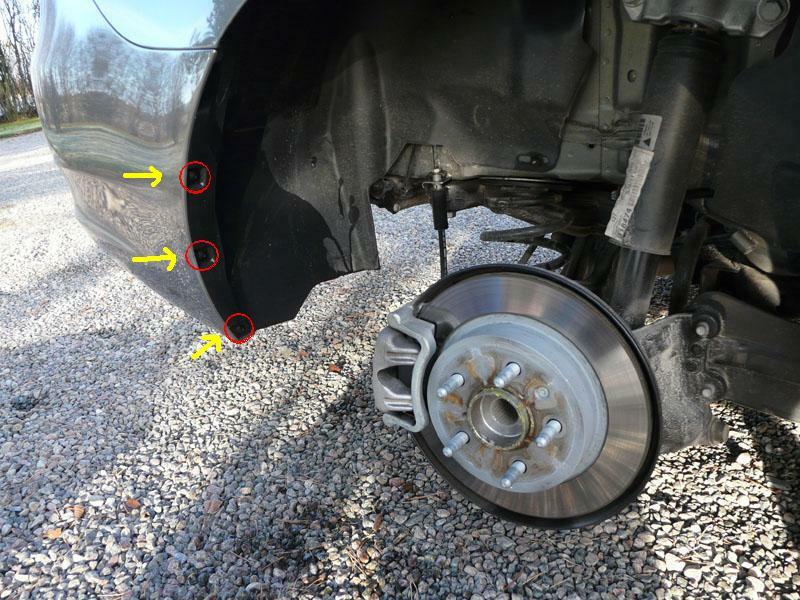 These screws can be put away since three new and longer screws are included with the mud flaps. 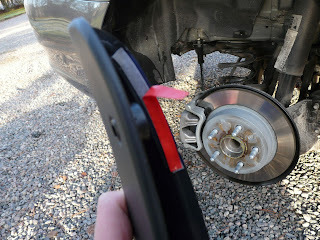 Then I loosened the protective plastic on the adhesive tape and used alcohol to clean the area where the tape would stick to the bumper. 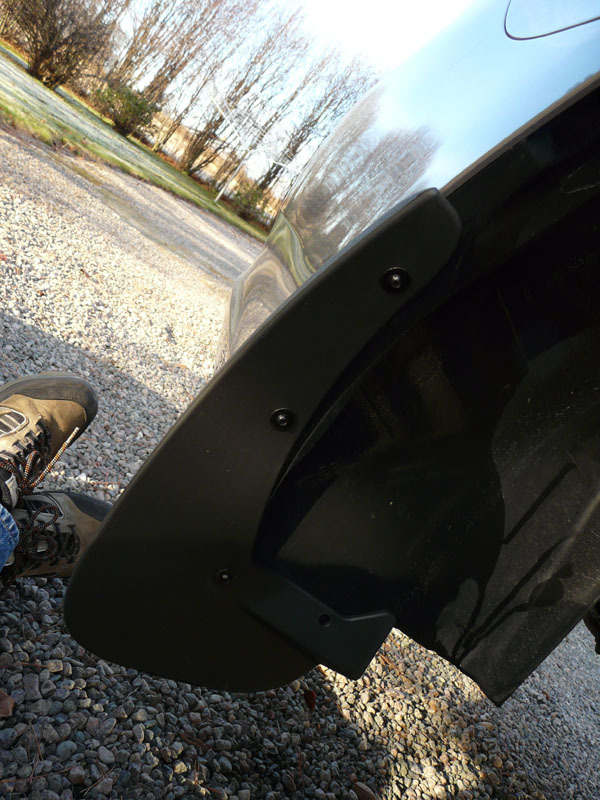 Then I fastened the mud flap to the bumper with three new screws (I used the same holes as the three screws I removed), and removed the protective plastic on the adhesive tape before I tightened the screws. 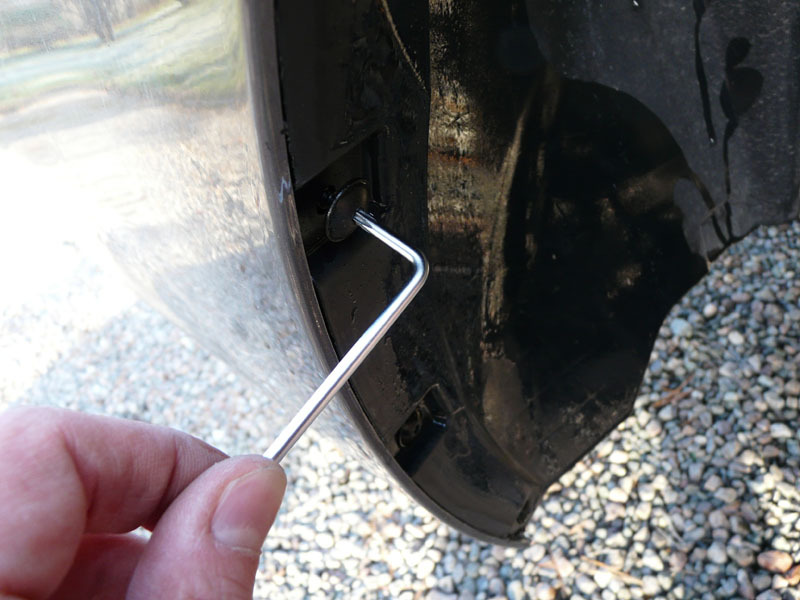 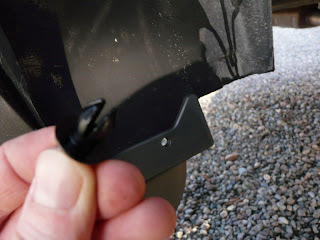 Then I drilled a hole in the wheel arch liner and used the plastic clip to fasten the mud flap to the wheel arch.